How do you get gold for all the medals in Pokémon Go? Some just take time. Others... take a little bit more. Here's the deal! Getting to level 40 and completing your Pokédex are just a couple of the ways to win in Pokémon Go. Getting gold in all the medals is another. Some of them are easy and some are just a matter of time. Others... are more of a challenge. Get Gold in one of the Type medals, and get a permanent 1.3x bonus towards catching Pokémon of the same type. Yeah, you want that! Get Gold in some of the other medals, and you unlock exclusive Style items like hats and tops. Hey, it's one way to show off your skills! How do you get the Pokémon Special Event Medals? 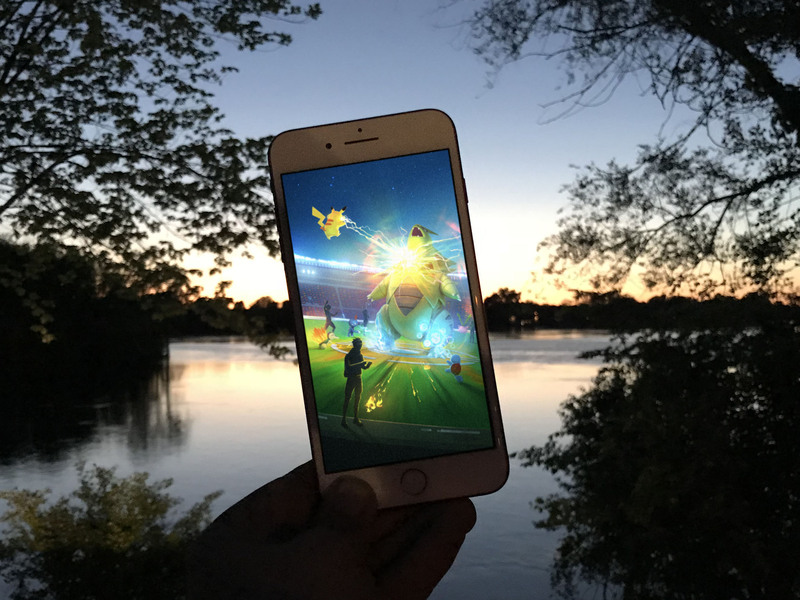 Since the first Pokémon Go Fest Chicago in 2017, medals have been given out for attending some of the real-world events. The only way to get them is to go to one of the events. You don't get any special items or bonuses for having an event medal, but it is a great souvenir. How do you get the Pokémon Go Achievement Medals? The Pokémon Go achievement medals are simple to get but not always easy. Each one is awarded for completing a number of specific tasks, but the number and tasks all vary greatly. To get an award, be it bronze, silver, and gold you simply have to reach the required number. While earning the achievement medals currently doesn't give you anything other than bragging rights there's some evidence to suggest they'll eventually bestow some benefits. For example, access to exclusive clothing for your trainer's avatar. How do you get the Jogger medal in Pokémon Go? The Jogger medal is straight forward. To get gold, all you have to do is accumulate 1000 KM in the game. It's the same idea as walking buddies for candy or Pokémon eggs to hatch. Stick to around 10 KM/H and log 100 hours. How do you get the Kanto medal in Pokémon Go? Kanto is the name of the region in Gen 1 where trainers caught their Pokémon. The Kanto medal represents all the Pokémon you've added to your Pokédex. Add 100 and you get the gold. There are 145 (150 minus the three Great Birds, Mew, and Mewtwo) in Gen 1, so you have some wiggle room, even with regionals. How do you get the Collector medal in Pokémon Go? The Collector medal represents the raw number of Pokémon you've caught, regardless of their type. You need 2000 to get the gold but as long as you keep catching, you'll have no problem reaching your goal. How do you get the Scientist medal in Pokémon Go? Also straightforward: You get the Scientist medal by evolving Pokémon. 200 to reach gold. If you're already grinding Pidgey, Caterpie, and Weedle for XP and levels, you should make it in no time. How do you get the Breeder medal in Pokémon Go? Hatch 500 Pokémon eggs and you can get a gold medal. It doesn't matter if they're 2 KM, 5 KM, or 10 KM eggs, you just have to hatch them. And that goes back to walking. It's not as bad as it sounds, though. 500 eggs at 2 KM is 1000 KM, at 5 KM is 2500 KM, and at 10 KM is 5000 KM. But you'll likely have a mix that averages out to 5 KM, and you can walk up to 9 at a time. How do you get the Backpacker medal in Pokémon Go? To get the Backpacker gold medal in Pokémon Go all you have to do is visit 2000 PokéStops. What? That's just 20 PokéStops a day for 100 days! If you have any large parks, campuses, or cemeteries nearby — ones with around 10 PokéStops in close proximity — you can do a few loops and get the gold even faster. How do you get the Battle Girl medal in Pokémon Go? The Battle Girl medal in Pokémon Go comes, not surprisingly, from battling in Gyms. Every time you battle in a Gym system and beat a Pokémon from a rival team, you recorded a battle. If you beat 1000 Pokémon, you recorded 1000 battles, and you got the gold. To put that in perspective, it takes 18 battles (6 x 3) to take down a filled up, full CP Gym. Do that 56 times, and you have your medal. Retired: What was the Ace Trainer medal in Pokémon Go? The Ace Trainer medal was the equal and opposite of the Battle Girl medal. You got it by training — prestiging — up a Gym under the old system that was owned by your own team. Beat 1000 Pokémon, record 1000 training sessions, and you got the gold. Unlike battling opposing Pokémon, the amount of battles it took to prestige a Gym to Level 10 varied depending on the relative CP of the Pokémon you were using. But, those who trained a lot and got the gold. How do you get the Youngster medal in Pokémon Go? You get the Youngster medal by catching 300 "tiny" Rattata. It's been estimated that around 12% of Rattata that appraise are "tiny", which means you'd have to catch around 2500 Rattata to get the gold. (It took me 2678 Rattata, so I was around 11%.) That's a lot but, since Rattata are common, it's not nearly as difficult as the Pikachu Fan or Fisherman/Magikarp medals. Just catch as many Rattata as you can and you'll get there. You can Trade for "tiny" Rattata, though. So, if you get some, hold onto them and trade with Friends who've also saved their "tiny" Rattata. How do you get the Pikachu Fan medal in Pokémon Go? Who isn't a fan of Pikachu, seriously? Still, getting a gold to show it means catching 300 Pikachu in the wild. Depending on where you live and if you have even occaisional Pikachu nests in your area, that can make it relatively easy... or relatively tough. The holiday events, where Festive Hat Pikachu typically spawn at an increased rate, helped make a dent in many medal counts. You can Trade for Pikachu. So, if you get some, hold onto them and trade with Friends who've also saved their Pikachu. How do you get the Fisherman medal in Pokémon Go? You get the Fisherman gold medal by catching 300 "big" Magikarp. Not just XL, mind you — but above 13.13kg. It's been estimated that around 15% of Magikarp that appraise are "big" (I'm at around 18% currently), so that means you'll have to catch about 2,000 Magikarp to get it. Yes, depending on how many you trade in for extra candy, that's enough to evolve 15 to 20 Gyrados (!!). So, unless you live next to a mega Magikarp spawn, getting gold will be tough. You can Trade for "big" Magikarp, though. So, if you get some, hold onto them and trade with Friends who've also saved their "big" Magikarp. How do you get the Unown medal in Pokémon Go? Unown is a Gen 2 Pokémon with 26 distinct shapes, one for each letter of the alphabet from A to Z. To get the Unown gold, you have to catch every one of those distinct shapes. You can Trade for Unown. So, if you get duplicates at a real-world event, hold onto them and trade with Friends who've got duplicates of other Unown. It counts — and costs — as a Special Trade, though. Yeah. This medal will take some time. How do you get the Johto medal in Pokémon Go? Johto is the name of the region in Gen 2 where 100 new species of Pokémon were first discovered. The Johto medal, like the Kanto medal before it, represents how many of those new species you've added to your Pokédex. Add 70 new Pokémon and you get the gold. There are (100 minus the three Great Beasts, two Tower Duo, and Celibi) in Gen 2, so you have a buffer here as well. How do you get the Berry Master medal in Pokémon Go? You no longer get stardust from occupying Gyms. Now you get it by feeding Berries to your Pokémon and any other friendly Pokémon on a Gym controlled by your team. You can feed up to 10 Berries to up to 10 Pokémon every half hour. The key is accumulating enough Berries — primarily Nahab Berries because it's really the only good use for them — to feed the Gyms, and finding Pokémon low enough on motivation that you can feed ten to each one. How do you get the Gym Leader medal in Pokémon Go? ... which turns out to be much easier than any previous Gym medal. Just keep placing your Pokes in as many Gyms as possible as often as possible for as long as possible and you'll get the gold. How do you get the Hoenn medal in Pokémon Go? The Hoenn medal is for catching Gen 3 Pokémon originally encountered in the Hoenn region. Catch 90 Pokémon from Gen 3 and you get gold. While not all of Gen 3 has been released yet, well over 100 have, so if you catch, hatch, and Raid as many as you can, you should be fine. How do you get the Champion medal in Pokémon Go? The Champion medal in Pokémon Go is straightforward. Battle and win against 1000 Raid Bosses and you get gold. How do you get the Battle Legend medal in Pokémon Go? Battle Legend is just like Champion... but for Legendary Raids. You get it the same way: Battle and win against 1000 Raid Bosses. In this case, though, they just have to be Legendary Raid Bosses. Yeah. Again, since you only get one Free Raid Pass a day, that could take you almost three years. If you buy Premium Raid Passes, of course, and track down as many Tier 5 Raids as you can, you can get to 1000 faster. But you'll burn cash to do it. How do you get the Pokémon Ranger medal in Pokémon Go? Field Research comes from spinning PokéStop, getting tasks, and completing those tasks. You can get one task per PokéStop per day, but you can complete as many tasks as... you can complete. So, to get the Pokémon Ranger gold medal fast, spin as many different PokéStops as you can every day, and complete as many of the tasks as you can every day. It takes 1000 completed tasks to get the gold, so even if you only do 10 tasks a day, you can get gold in 100 days. How do you get the Pilot medal in Pokémon Go? The Pilot medal is all about trading over long distances. The longer the better. It takes 1,000,000 — one million — kilometers to get gold, and that's... a lot. New York to San Francisco in over 4,000 KM. As is New York to London. San Francisco to London is over 8,000. So, the best thing to do is find people to trade with you've traveled as far as possible, collected Pokémon on their travels, and are willing to trade with you as much as possible. If you travel together, you can trade local Pokémon for travel Pokémon and vice versa, which can be the fastest way to get to gold. How do you get the Gentleman medal in Pokémon Go? Raw number of trades is the name of the Gentleman game. You need 1000 trades total to get the goal, so trade as often as you can with as many people as you can and you'll get gold as fast as you can. How do you get the Idol medal in Pokémon Go? Idol looks deceptively easy. All you need is three (3) Best Friends to get the gold. But, it takes 90 days to get a Best Friend. So, if you increase your friendship status every day — and the current, super buggy system makes that almost impossible — the fastest you can get it is 90 days. So, keep Raiding, Battling, and Gifting your Friends consistently and it'll be yours... in a quarter! How do you get the Pokémon type medals? The Pokémon Go type medals are similar to the achievement medals but for specific types of Pokemon. Getting 10 Pokémon of the same type will earn you a bronze medal for that type, 50 a silver medal, and 200, gold. Unlike the achievement medals, though, the type medals do come with rewards. Namely, catch bonuses! For the math, see Gamepress. Since you get the bonus without having to do anything special, like curve your shot, and without having to expend any additional resources, like a Razz Berry or Ultra Ball, the bonus is not only effortless once you get it, but essentially free and infinite. That's a great reason to max out your type medals. How do you earn medals? To get a type medal, you need to hatch, catch, or evolve Pokémon of that type. Doing any one of those things gets you a point towards the medal. Evolving can also get you multiple medals. For example, if you hatch a Bulbsaur, you get 1 point towards you grass type medal. Evolve it into an Ivysaur, you get a second point. Evolve Ivysaur to Venusaur, a third point. What about Pokémon that evolve into different types? A few Pokémon, though, change types as they evolve. For example, Shelldor and Seel are water types but but their evolutions, Cloyster and Dewgong, are ice types. That means, if you catch or hatch the base Pokémon, you'd get 1 point for your water medal but, when you evolve them, your second point would go to ice type instead. For Pokémon that have or gain a second type through evolution, you'd get both points when you evolve. For example, Charmelon is a fire type and Magikarp, water. Their evolutions, Charizard and Gyrados, add flying type. So, hatching or catching the base type would get you a fire or water point. Evolving either would get you a second fire or water point plus a flying point. That might make it sound complicated but it's actually simple: Get more Pokémon of a type, get more medal points for that type. Know what medals you need and then hatch, catch, or evolve to get the gold. How do you get the Schoolkid Medal for Normal-type Pokémon? There are so many normal type Pokémon?, and so many common Pokémon like Pidgey and Rattata are normal type, and mass evolving Pidgey to Pidgeotto is a staple of leveling up, that this is one of the easiest medals to get and take to gold. Note: Farfetch'd is currently only available in parts of Asia, Kangaskhan in parts of Australia, and Taurus in parts of North America. How do you get the Bird Keeper Medal for Flying-type Pokémon? Like normal type Pokémon?, flying type's abound, including the very common Pidgey, Spearow, and Zubat. Since mass evolving Pidgey to Pidgeotto is a staple of leveling up, so this is also one of the easiest medals to get and take to gold. Note: Farfetch'd is currently only available in parts of Asia. How do you get the Punk Girl Medal for Poison-type Pokémon? Weedle and Zubat are very common, and evolving Weedle to power-level is just as effective as Pidgey, so poison is another one of the easiest medals to get and take to gold. How do you get the Ruin Maniac Medal for Ground-type Pokémon? Ground types aren't rare but they aren't as common as some other types. That means, if you're short, you'll need to look for a nest or two to up your numbers. How do you get the Hiker Medal for Rock-type Pokémon? Like ground types, rock types aren't exactly common. Omanyte, Kabuto, and especially Aerodactyl can be really had to find. Again, nests are your friend. How do you get the Bug Catcher Medal for Bug-type Pokémon? Depending on where you live, bug types can be as common as normal types — and sometimes they can feel even more common! Caterpie and Weedle are also Pidgey-grade staples of mass evolving for levels, so the bug type medal shouldn't be hard to get and max out to gold. How do you get the Hex-Maniac Medal for Ghost-type Pokémon? There aren't many ghost-types in the game. If you didn't get a chance to stock up during the Halloween event, it could be a challenge to catch enough. Gastly and Misdreavus do nest, though, so that's what you want to look for. How do you get the Kindler Medal for Fire-type Pokémon? How do you get the Swimmer Medal for Water-type Pokémon? Water types aren't as common as normal and don't have any high volume mass-evolvers like Pidgey in their midst. Still, there's a wide variety so if you have spawns in your area or can get to some place near a river, lake, or other body of water, you should be able to get it done. How do you get the Gardener Medal for Grass-type Pokémon? Oddish and Paras have been spawning more frequently since Pokémon Go upped the numbers and diversity following the Halloween event. They're your best bet for upping your grass type count. How do you get the Rocker Medal for Electric-type Pokémon? The Pikachu fan medal tops out at 300, which is more than the electric type medal requires. So, if you got that, you got this. If not, the other Pokémon can also help pad your numbers, even if they're not exactly common. How do you get the Psychic Medal for Psychic-type Pokémon? To get Mr. Mime you have to be in the right part of Europe. If so, cheers. If not, you'll need to concentrate on the international psychics, especially Abra, Slowpoke, Drowzee, and Exeggcute. If you can find nests, you can jack up your numbers. How do you get the Fairy Tale Girl Medal for Fairy-type Pokémon? Fairies ain't easy. Three are babies you can only hatch. One is the evolution of a baby, and that makes it probably the rarest Pokémon in the game right now. One is a region exclusive that's great if you're in the UK but no help at all everywhere else. Two are evolved forms that you either have to evolve or get extremely lucky to see in the wild. That leaves only two for you to target: Wigglypuff and Clefairy. Find their nests. How do you get the Black Belt Medal for Fighting-type Pokémon? There aren't many fighter types in Pokémon Go, making the Black Belt Medal hard to get. Hitmonlee and Hitmonchan can only be hatched from 10KM eggs and are extremely rare in the wild. Poliwrath can't be hatched, is extremely rare in the wild, and requires a ton of Poliwag candy to evolve. That leaves Mankey and Machop as your best fighter bets. How do you get the Depot Agent Medal for Steel-type Pokémon? There are only two steel-type Pokémon in Gen 1 and only four more in Gen 2, the least amount for any medal. In other words, catch anything any time you see it. How do you get the Skier Medal for Ice-type Pokémon? Those technically there are more ice-type Pokémon than steel or dragon in Gen 1, one is a baby that can only be hatched, another is one of the rarest Pokémon in the game, and the others are all evolutions. Luckily, Gen 2 offers a little relief in the form of Swinhub, which is fairly common in some areas. Like the other low 'mon medals, just catch as much as you can and evolve as often as you can to fill it out. How do you get the Dragon Tamer Medal for Dragon-type Pokémon? If you live in an area where there's a major pier or a ton of Magikarp spawns and you get Dratini frequently, then the Dragon Tamer Medal can be yours. Otherwise, you're looking at three of the rarest Gen1 Pokémon in the game. Look for those rare spawns, get as many as you can, and hope for the best. Gen 2 only helps a little — You can evolve as many Kingdra as you can find Dragon Scale Evolution Items. Gen 3, though, that's when the Dragons come out to play! How do you get the Delinquent Medal for Dark-type Pokémon? Delinquent is a new medal for Gen 2 that coincides with the introduction of dark type Pokémon into the Go game. Gen 3 adds a bunch more, in case you need extra Pokémon to get the gold. Any Pokémon Go medal questions? Any questions about how to get the medals in Pokémon Go? Drop them in the comments below!